San Miguel, Bulacan. Home of the Biak na Bato. 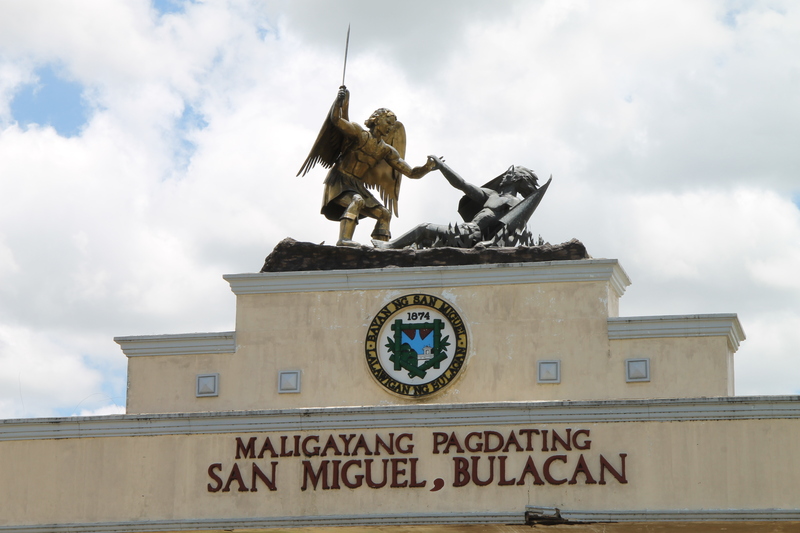 San Miguel is the last town in Bulacan on the way to Nueva Ecija. I remember 35 years ago, when I was a young lad, being in a friend’s house in a San Miguel barangay that was at a point where a step away was Candaba, Pampanga, and another step sideways is Nueva Ecija. While we were actually in Bulacan. 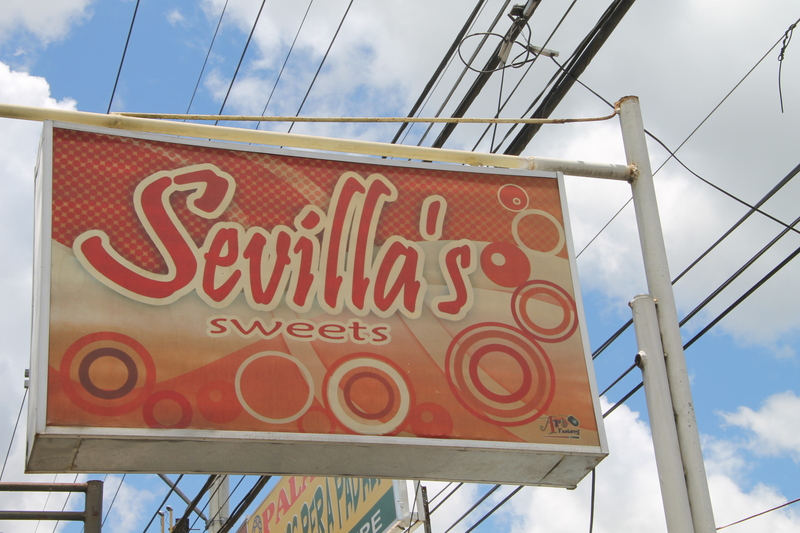 The town is famous for Sevilla’s Sweets and it is almost criminal to pass by this town and not buy some to bring home. I bought a box of pastillas and other delicacies from the last of the three Sevilla’s outlets, and the bill came to only P190 I even wondered if there was a mistake, but I was assured there was none. 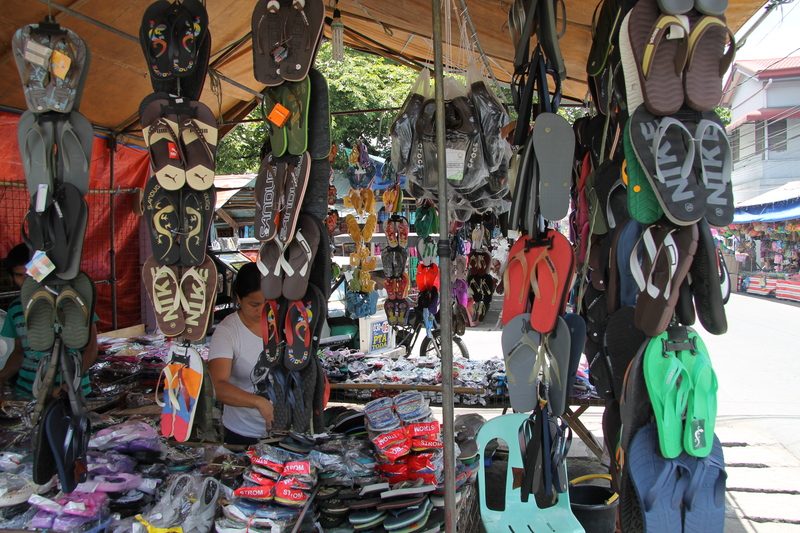 The day I went there was probably leading to the town fiesta, and there were tiendas at the poblacion, near the church. 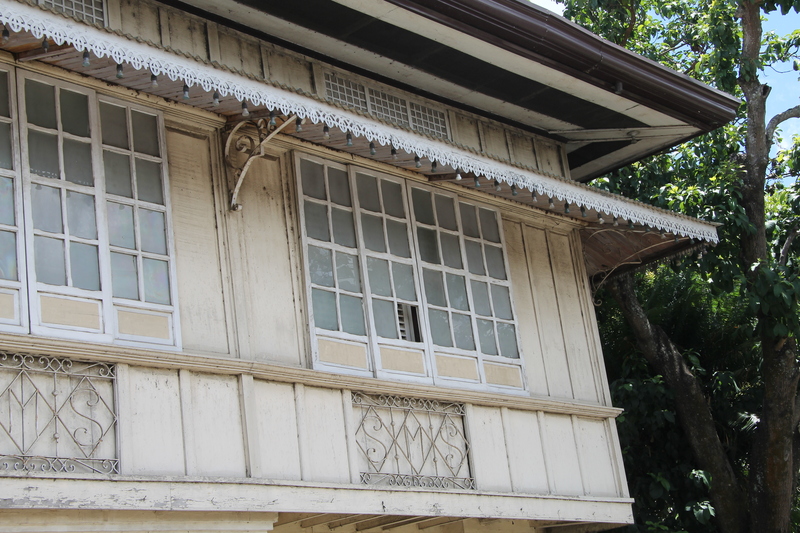 I walked around this section of town and saw a couple of beautiful old homes. It is a forest park under the supervision of the Department of Environment & Natural Resources. I paid the P30 entrance fee and engaged the services of a local guide to explore the forest. At the gate, all visitors are briefed about the park attractions – – – the many caves and the picnic areas around the river where most visitors bathe. It is made clear that guests would do well to engage the services of the local guides or they may not find their way thru the forest park. The fee for the guide is P100 per cave, or P600 on a normal tour covering a little over 4 hours. I figured that the park makes good money from these tour guide services. As it turns out, the park does not earn a cent from this, and all the fees go to the guides themselves. Hmmm. After sweating it out on the up-and-down trails and changing my dripping shirt, we made way for the exit. I got myself a glass of P20 halo-halo on he stalls on the roadside. Tired but refreshed, we headed to the parking area to head home to Metro Manila. The parking attendant was insistent that our Volvo SUV was a van, not a car, and was charged P50 instead of P40 for cars. Apparently, they classify all SUVs as vans. Oh well. I asked for a receipt and was issued one that was not registered with the Bureau of Internal revenue. Rather, they are the type available in public markets. No record of fees collected as the “receipt” doesn’t even have duplicate copies. Concerned that the government/DENR/Biak na Bato National Park was being cheated of revenues, I went down and reported the matter to the person manning the entrance gate. And he nonchalantly said that the parking area was not controlled by them, and was private property. Hmmmmmmmm. Clear signs indicating “Parking Area” when anyone goes to the park, and fees collected by a barangay tanod who is a government employee, receiving stipends from his barangay, and the parking area is private? How lucky can this landowner get. Or is it really private? Or public land with revenues going to private coffers? Just asking. In the end, I figured that visitors from Manila who would go to Biak na Bato, unaware of its state of neglect, will be thoroughly disappointed. As I was. And even more disappointed thinking that either the park is so mismanaged that they have not thought about deriving revenue from the tour guide services and the parking fees, or that corruption has seeped in and that some officials might be the ones deriving good money from a government asset. Either way, there will be no funds to improve the condition of the park. And only the most serious trekkers will enjoy going deep into the woods. It is said that one will need to stay for 2 weeks, camping where night finds them, to fully explore this forest. And spend a king’s ransom for local guide fees. On a private car, take NLEX and exit at Sta Rita. Follow the road to Baliwag, and on to San Miguel, passing maybe 6 or so towns. Many provincial buses service this route, too. I used to say Laguna Garden Cafe was the best. 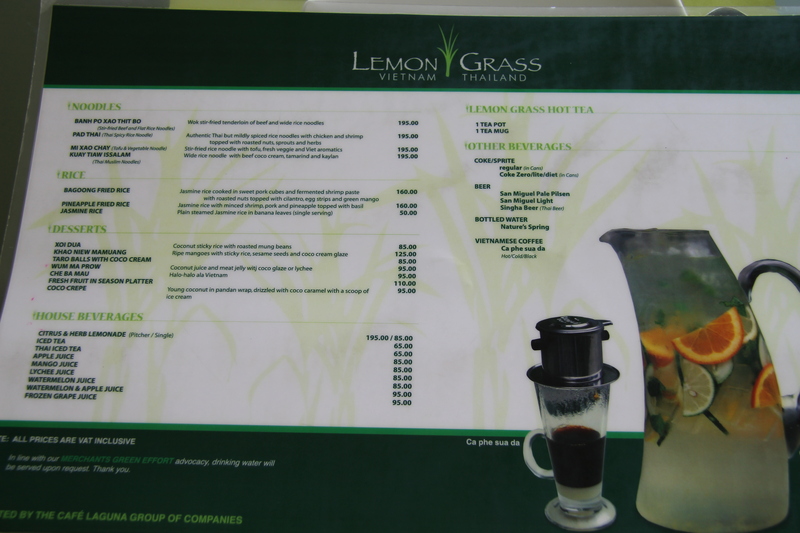 Until I tried Lemon Grass. Turns out both are owned by the same restaurateur. 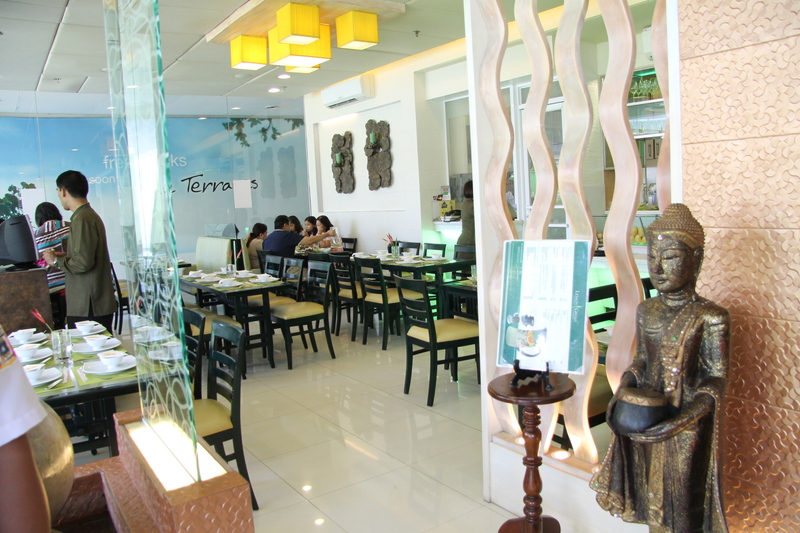 The Vietnamese and Thai cuisine in Lemon Grass spells the big difference. I have had lunch and dinner in this restaurant at least 5 times, enough to say I have always liked the food. 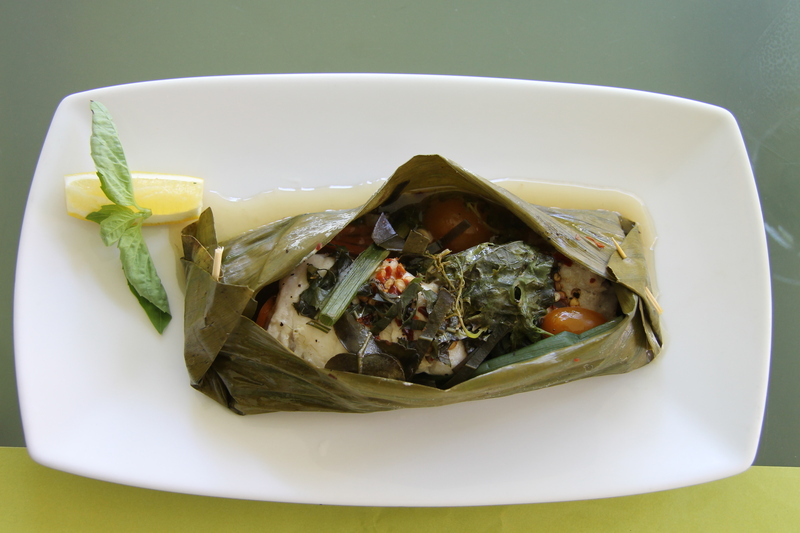 On this trip, I sat outside, on the terrace, and ordered steamed fish, rice, and lemonade with citrus and herbs. 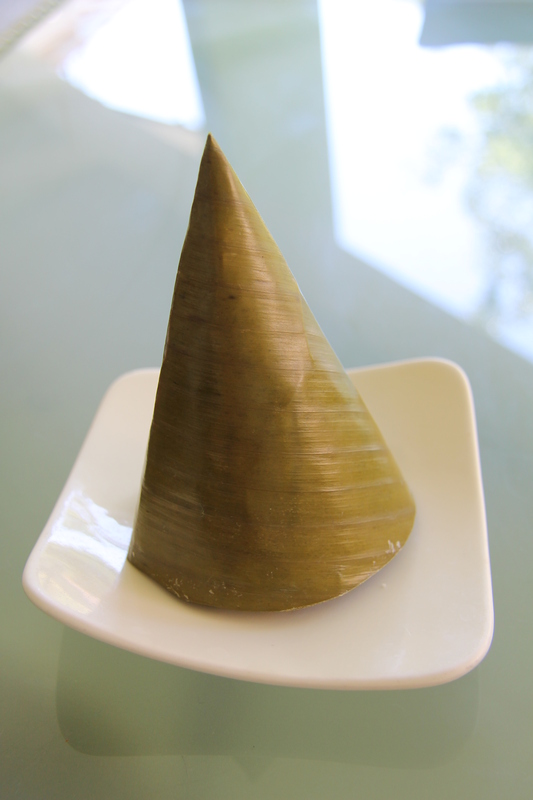 The steamed fish was very good, wrapped in banana leaves, with herbs and spices that made it so different from the steamed fish we make at home. The lemonade was so refreshing I ordered another glass. The bill came to only P455.00. I call this restaurant The Best not because of any freebies. I paid for everything I ordered. Everytime. In fact, I still say this is the best in spite of the rather less-than-friendly owner. I sat al fresco so I can smoke after lunch, after I asked the staff if I can smoke later, and was told that I could. After lunch, a lady passed, whom I didn’t recognize to be the owner – – – the staff told me so when I asked who she was – – – and I asked for an ash tray. She said they don’t give out ash trays because “smoking is not allowed”. Holy smoke ! I had to sit outside instead of the comforts of airconditioning inside, only to be told I couldn’t smoke – – – after I was earlier told I could. I didn’t argue, and just considered that pronouncement to be the rule. But this also made me wonder why Laguna Garden Cafe allowed us to smoke on their tables by the terrace after lunch when I went to Cebu for the Sinulog last January, the staff even providing us ash trays. Oh well, maybe the rules have changed. So, yes, even with this bad experience, I still say Lemon Grass Restaurant has the best cuisine. . And maybe I should find another spot where I can smoke, after another lunch or dinner in this favorite restaurant. 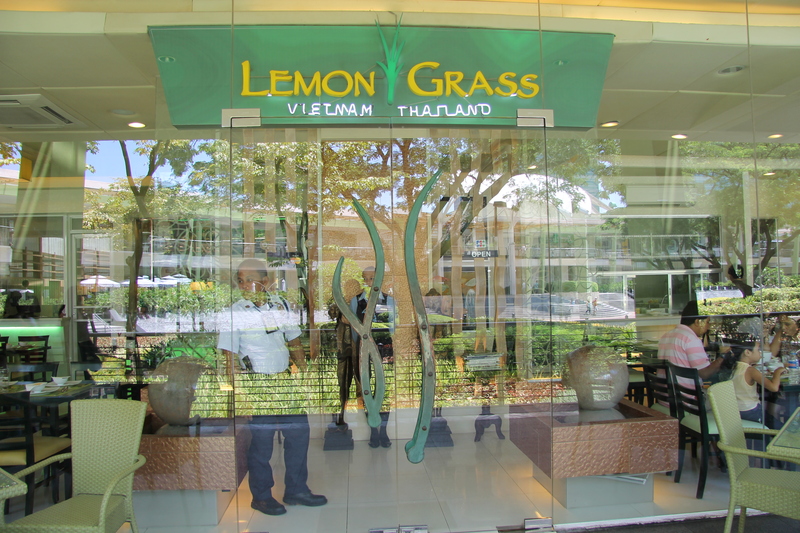 I was at Lemon Grass, right beside Laguna Terrace Cafe at the Ayala Center in Cebu. On the drinks menu, I saw Lemonade with Citrus and Herbs. A pitcher costs P195 and, thinking I could not down a pitcher of lemonade, ordered a glass for P85. 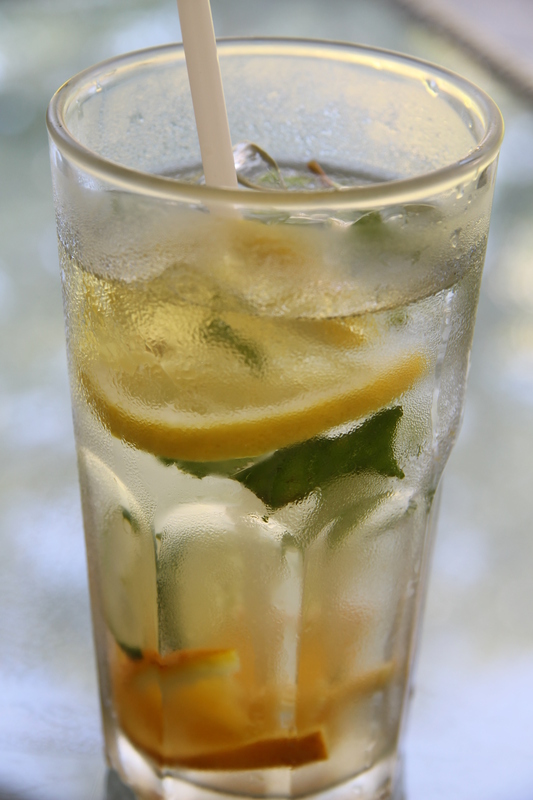 It was so refreshing on a hot summer day, sitting by the terrace, that I ordered another one. On hindsight, I could have ordered a pitcher. 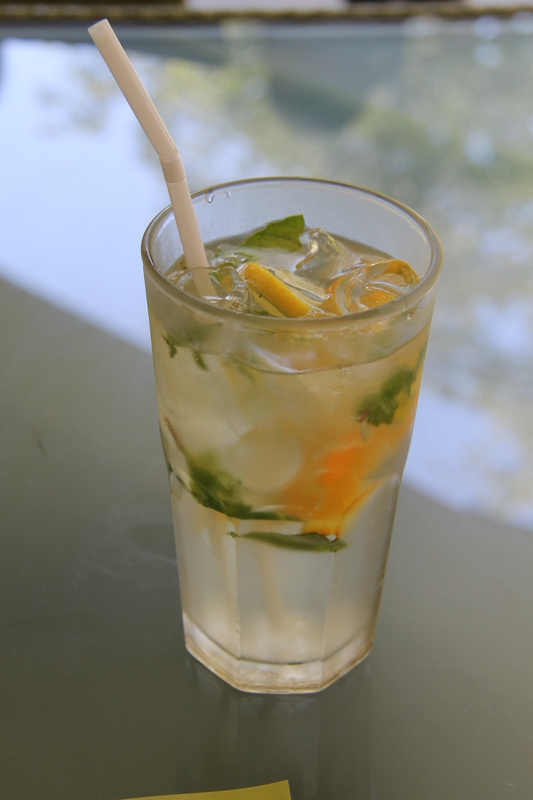 The concoction is made up of slices of lemon, oranges, mint, cucumber and basil. Maybe next time I will order a pitcherful of this most refreshing drink. I had to order another one ! 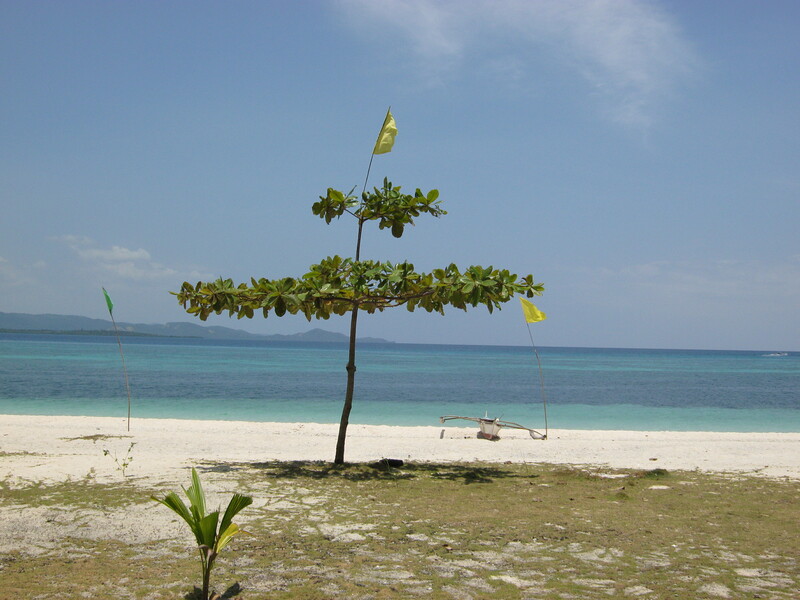 Maniwaya is an island off Sta Cruz town in Marinduque. I first went to this island in 1986, when it was practically uninhabited. 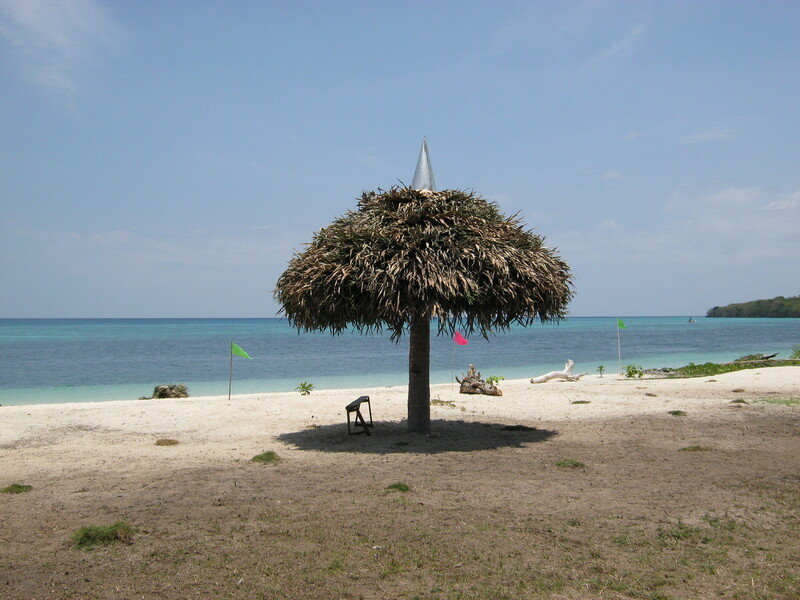 My friends from General Luna, a coastal town in the Bondoc Peninsula, suggested we take a boat to a virgin island where, according to the old folks, then President Manuel Quezon would bring guests to sample paradise. 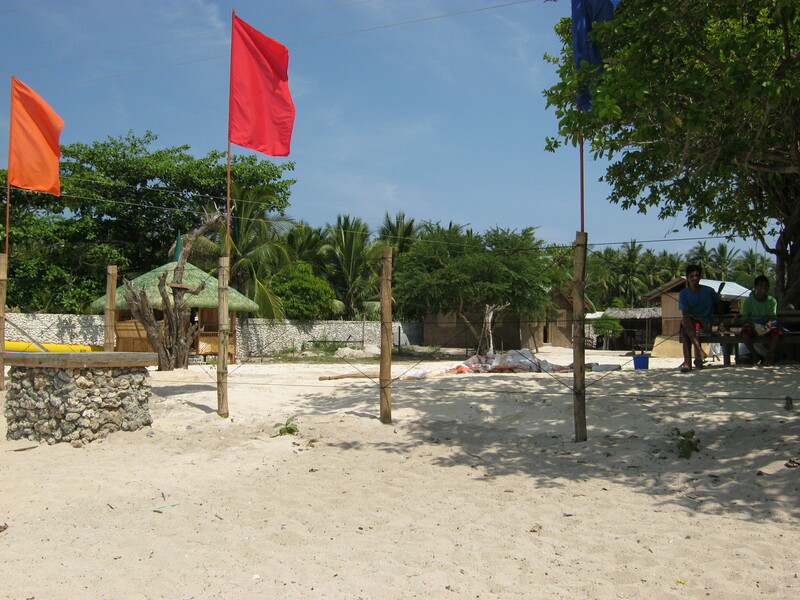 We had a whole day of fun, but the boat ride back to General Luna then was something most of us would not forget. The afternoon waves were so bad we thought of turning around to stay overnight instead in Maniwaya. Thinking about it now, sayang. Today, Maniwaya is developing as a resort destination. 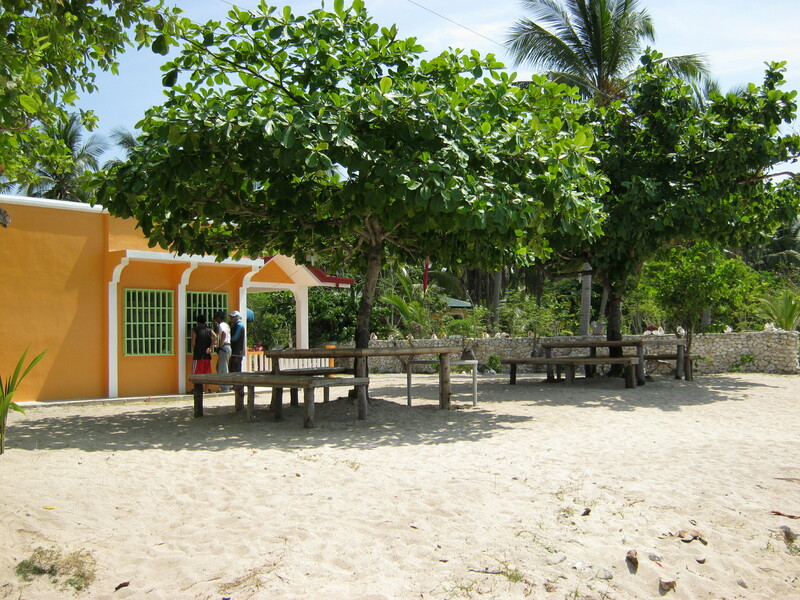 There is Palo Maria, a mom & pop operation, with a few bedrooms to rent. There are 2 resorts that are “tourist” class. On my last trip I saw a jet ski. A town mayor is building an 8-room low-rise hotel on a beach front. 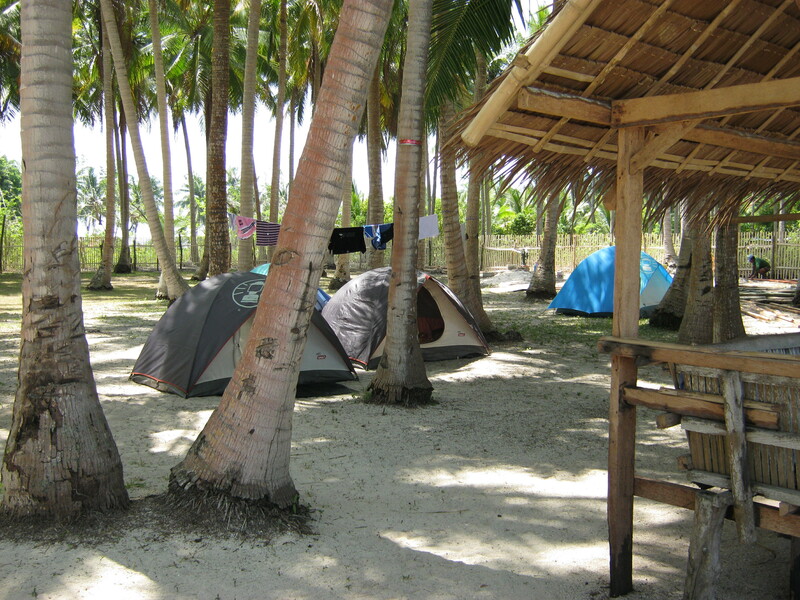 A top Marinduque politician has built the foundation for what looks like another resort. But camping is still popular. The island, in my book, can still be described as undiscovered, and charming. I have not met anyone who has actually been to the island. Even the Marinduquenos themselves. Best to go there now, before the horde descends on this beautiful island. But do not spread the word irresponsibly. Choose to tell only your friends who are responsible. Those who will not damage the island. I would not want to see Maniwaya decay into another Boracay. 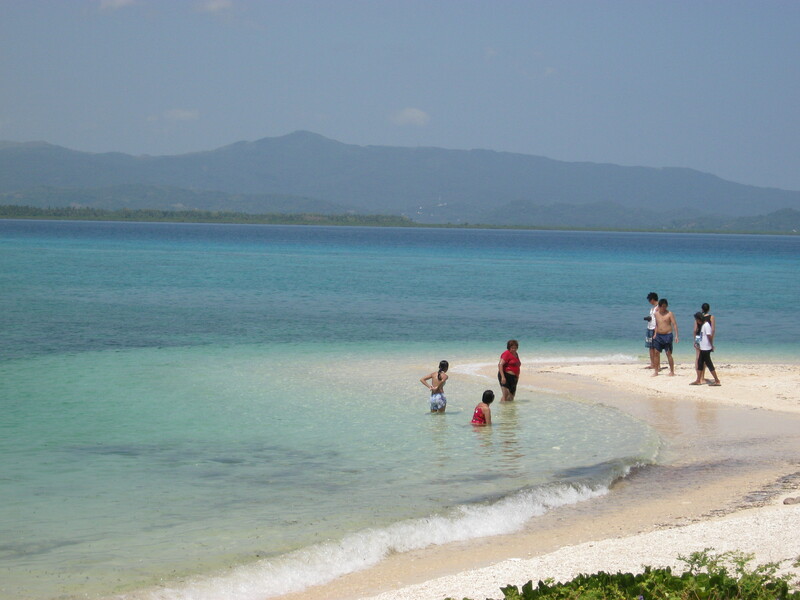 You have to go to the main island of Marinduque. 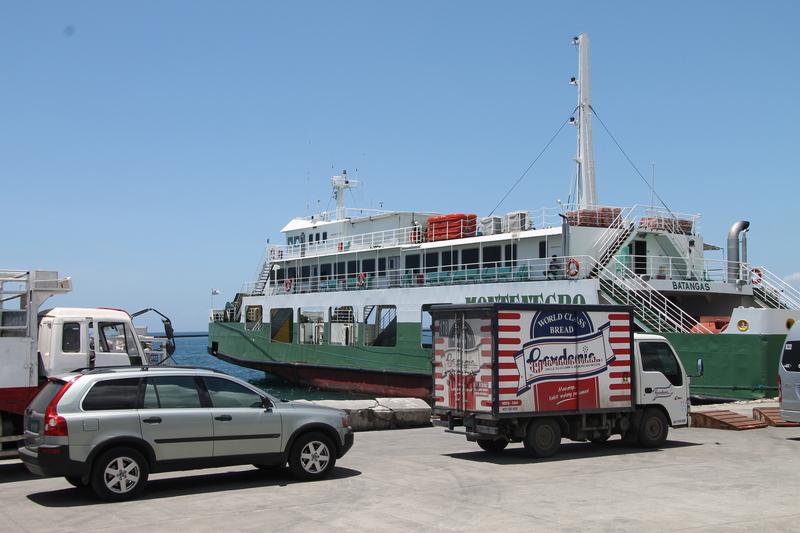 JAC Liner takes passengers from its Quezon City terminal straight to Marinduque, via a roro ferry from Lucena. 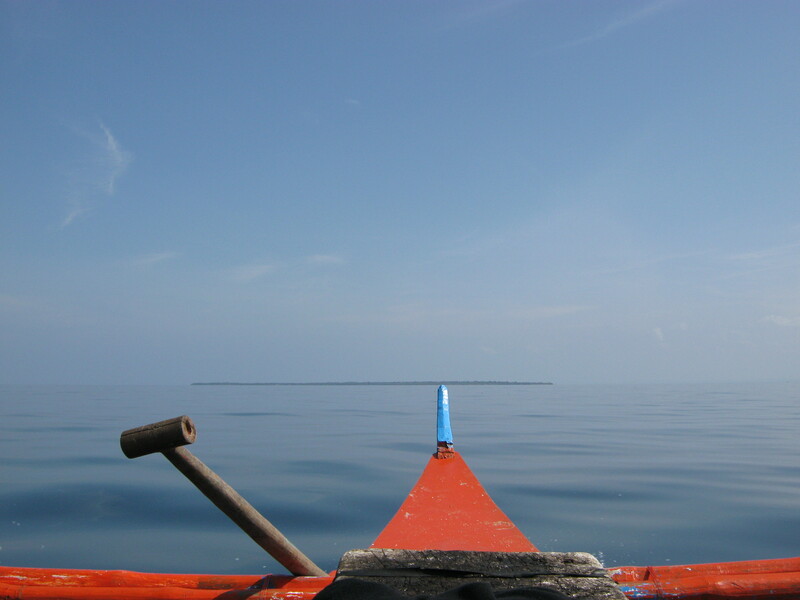 There are several trips everyday, sailing from Lucena to the 3 ports in Marinduque – – – Cawit, Balanacan, and Buyabod. Buyabod is the nearest to Maniwaya, but there are less frequent trips to Buyabod. 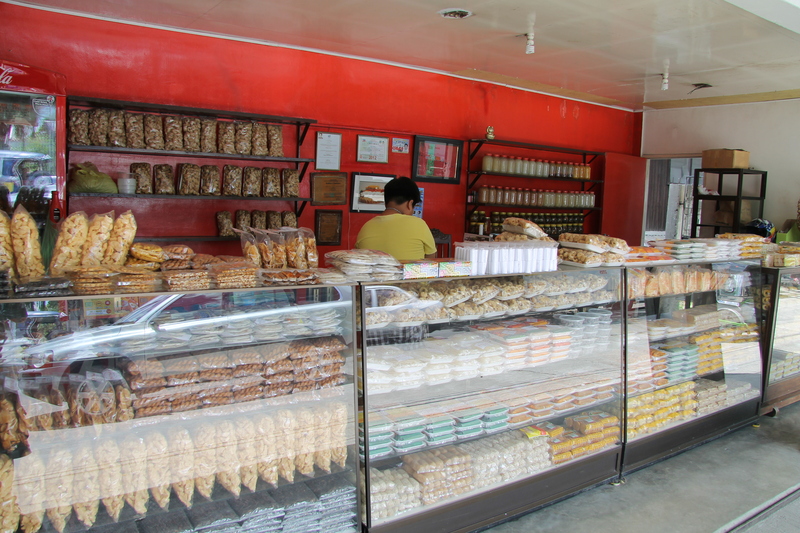 The most number of trips are to Cawit, in Boac, the capital of Marinduque. My favorite “port of entry” is Balanacan. 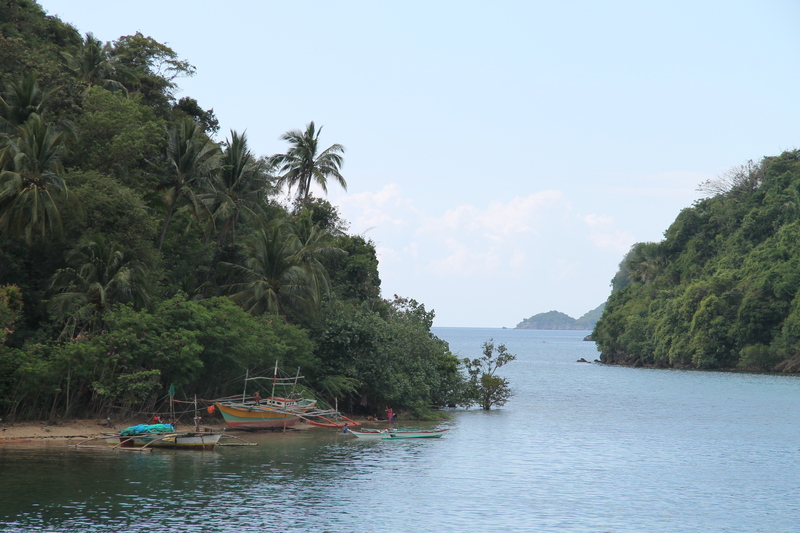 Approaching the pier, passengers are treated to the sight of many islets before the ferry docks in Balanacan. From Cawit or Balanacan, passengers can take jeepneys to Sta Cruz. The boat ride from Sta Cruz to Maniwaya is less than an hour. Travel time from Nichols to Lucena is approximately 3 hours. The ferry ride is another 3 hours. I paid P2,700 to get my car on the roro. If taking your car, make sure you get a full tank before crossing over to the island where petrol is much more expensive.